It's Retro Week on SONM! For the next week Super ONM is going back to the past for a healthy dose of retro gaming goodness! We'll be celebrating the games of yesteryear from Nintendo and beyond, with a great selection of featured threads and retro discussion. Join in the fun over in Retro! 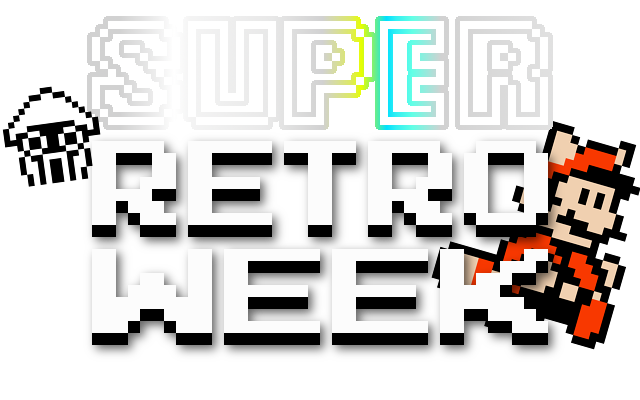 To make Retro Week 2016 a success we want you to get involved. We already have some videos planned for our SONM Network YouTube channel, but it's never too late to get involved. A retro game review, a look-back at your favourite games of your childhood, or whatever else you might have an idea for - get it recorded and send it in, and the video will be featured on the channel for everyone to watch and enjoy! We'll also be featuring threads throughout the week by stickying them, making them global, and/or featuring them on our front page, as well as tweeting them out. Just make a retro-themed thread at any point during the week and we'll be looking out for great content to promote across the site! Everyone who contributes towards Retro Week, as well as helping to make this community event a success, will also receive the Retro Week 2016 profile badge - so please do get involved! Re: Retro Week 2016 - It's Retro Week on SONM! The first of our featured community threads for Retro Week 2016 is Retro Magazines from D.J with a ton of old gaming magazine scans! If you haven't already seen we're also running a vote for the Top 10 20th Century Games, so go have your say! Finally, euan707 has just revealed this week's theme for the SONM Jukebox and - you guessed - it's Retro! Check it out. It's also great to see some other threads being made and some good discussion being had in Retro! Troggy is taking retro game drawing requests - check it out!